Found in Orange County, Florida, Lake Buena Vista is a city most-known because it contains the mailing address for Walt Disney World. However, most of the facilities for Walt Disney World are actually found in Bay Lake. Both Lake Buena Vista and Bay Lake are controlled by The Walt Disney Company and Lake Buena Vista only has a reported population of 10 residents. The city is a part of the Orlando Metro area, however. This area is home to about 2.2 million residents. Of course, since Lake Buena Vista is close to Disney, it attracts a large number of visitors every single year. With both the larger population of the metro area and the millions of visitors, traffic can become a huge issue within the area. Many very popular attractions are found near Lake Buena Vista including Disney World, Sea World, Universal Studios and more. The metro area attracts more than 50 million visitors every single year. Many of the visitors rent vehicle or drive to the area bringing their unique driving style with them. With so many visiting drivers, the roads become very busy and dangerous. Interstate 4 is found near Lake Buena Vista and it's known as the third most deadly highway in the entire country. Over 183,000 vehicles use I-4 every single day. Traffic accidents in the Lake Buena Vista area and in Orange County are on the rise. If the authorities in the area didn't monitor the roads and enforce traffic laws, these statistics would be far worse. Throughout 2015, more than 190,000 traffic infractions were handed out to drivers. More than 60,000 of these violations were for speeding with a large number also for running red lights and careless driving. Judges in the area only dismissed about 11% of the tickets issues. This means your chances of getting out of a ticket are very slim. 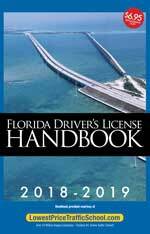 The State of Florida doesn't give residents the right to drive. Instead, it's a privilege, which can be revoked at any point. Often, drivers lose their license for a period of time due to receiving too many traffic tickets in a short amount of time. It only takes 12 points to end up with a suspended license. If you receive 12 points over a one-year period, you will end up with a suspended license for 30 days. After that, if you end up with 18 total points in 18 months, your license suspension will last 90 days. Even worse, if you get 24 points over a three-year period, the suspension lasts an entire year. 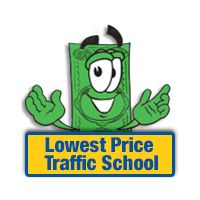 After receiving a ticket in Lake Buena Vista, you may be eligible for traffic school. By taking the basic driver improvement course, you will be able to keep the points off your license. Start by paying your ticket with the clerk of the court and inform the clerk that you will attend traffic school online. Then, enroll in the basic driver improvement course. Complete the course, pass the test and receive your certificate of completion. Now, you just need to turn the certificate into the clerk of the court and you're all set. This will not only keep points off your license, but it will also keep your insurance rates from going way up. All traffic tickets issued in Lake Buena Vista are handled by the Orange County Clerk of the Court. You will pay your ticket with the clerk and you will need to let the clerk know if you plan on enrolling in online traffic school. Find out any information you need about the Orange County Clerk of the Court by visiting the clerk's website.